The month of September is one of the busiest months of the year here. 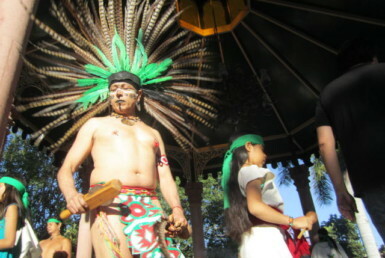 The Mexican Independence is celebrated for several days, starting on September 15th. 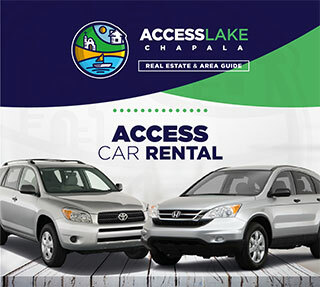 There will be a parade in Chapala and one in Ajijic and parties in restaurants and the plazas. 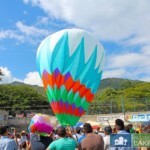 There will be the Globos celebration on the eighth of September. 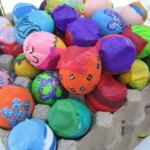 That is where they launch huge balloons made out of paper mache. I will cover it next week. 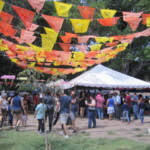 The first celebration is the International Mariachi Festival which kicked off in Guadalajara with a parade of the Mariachis from all over the world. During this week they will be playing all over Guadalajara, in restaurants, plazas, theaters, malls, and even in churches. Some of the performances are free. Some of them are expensive. But all of them should be entertaining. 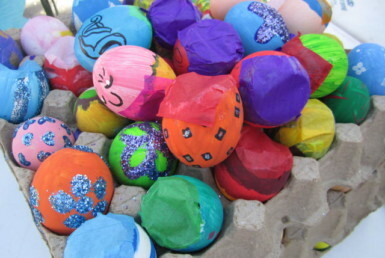 This is also the season for the cohetes. Cohetes are the rockets that are shot off at all hours of the day and night, making lots of noise. On Saturday, September first, there was a performance up here at the Lakeside. 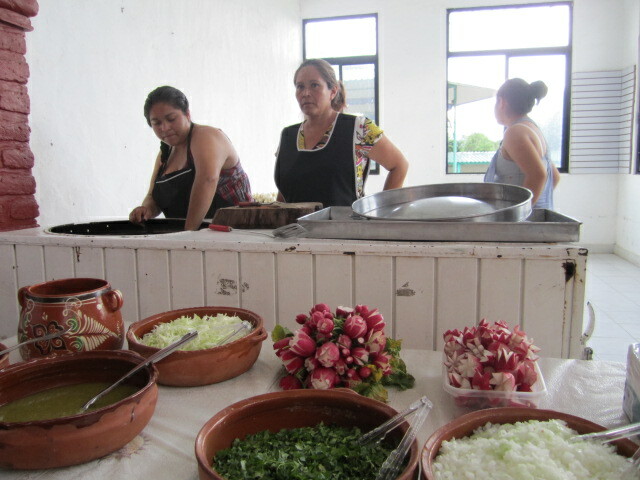 It was held at Huerta de Serena Events Salon in West Ajijic. 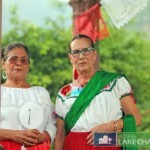 The proceeds went to the Chapala Red Cross. Cost of a ticket was a hundred and fifty pesos. The above lovely women stood at the door and took tickets. They were all smiles. 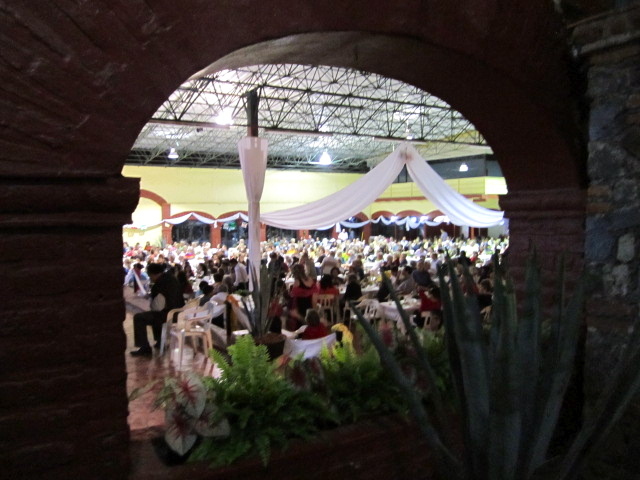 Upon entering the hall, we were greeted once again by men and women carrying trays of drinks. 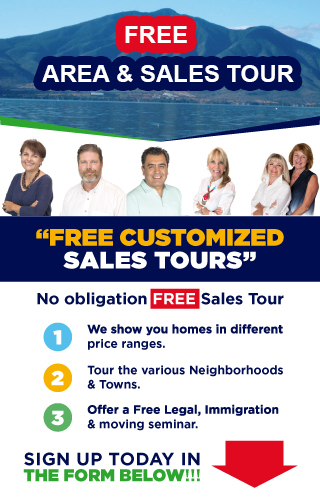 Free drinks. I think they were Margaritas. Whatever they were, they were delicious. As you can see, it was a large crowd. Unfortunately, we didn’t get the message about calling first to reserve a table. All the tables towards the front of the room were reserved. We were stuck at the very back. 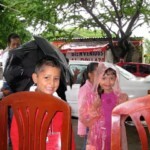 They had a good sound system so we could hear everything but half way through the performance it started raining– hard. It came in the back windows and got us wet. I put on my rain jacket and opened up my umbrella. I wasn’t going to let a little rain make me miss the fun. 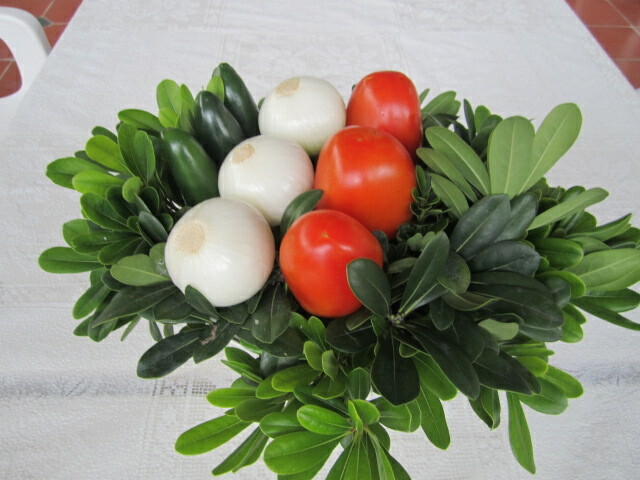 I loved the table settings; peppers, onions and tomatoes. I guess we could have made salsa out of them if there hadn’t been any food. But we didn’t have to do that. 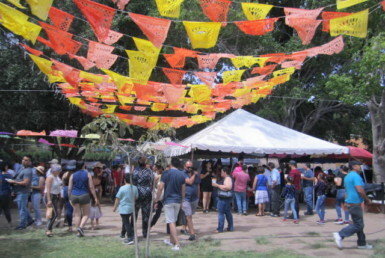 There were several food booths and it all looked good. Being in the back row, put me next to the food booths. There is a silver lining in every cloud. 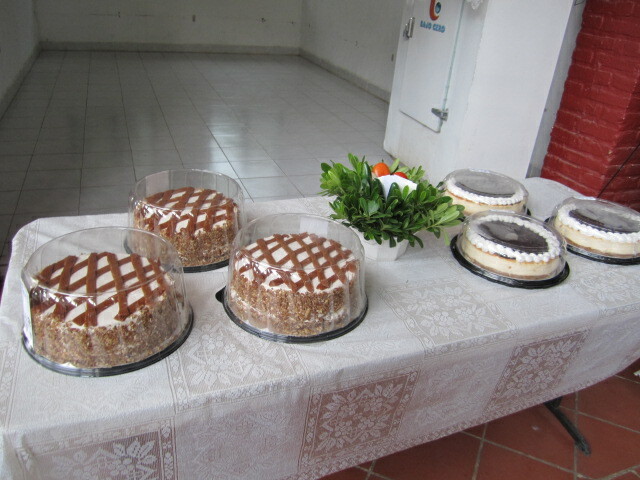 Let’s start with the dessert booth. I love eating desserts first. I had a piece of cake and it was as good as it looked. 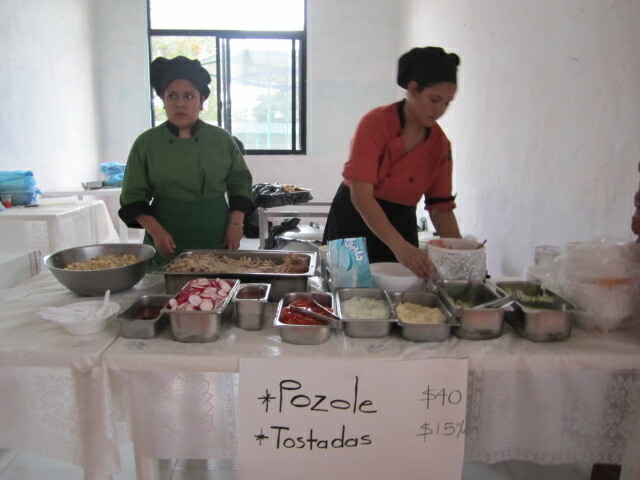 How about some Pozole and Tostadas? Both of these are very popular in Mexico. 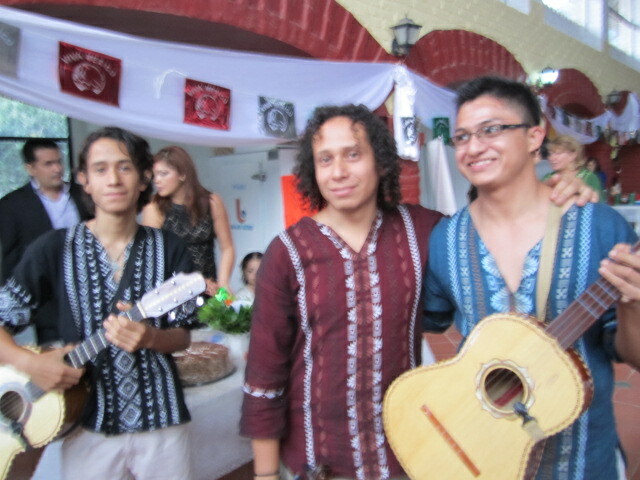 The above Mariachi Band came all the way from Columbia to take part in the festival. They were very friendly. I love watching the traditional dances. They started the program. The program began a little after seven in the evening and I have on idea of how long it ran because I was tired after two and a half hours. 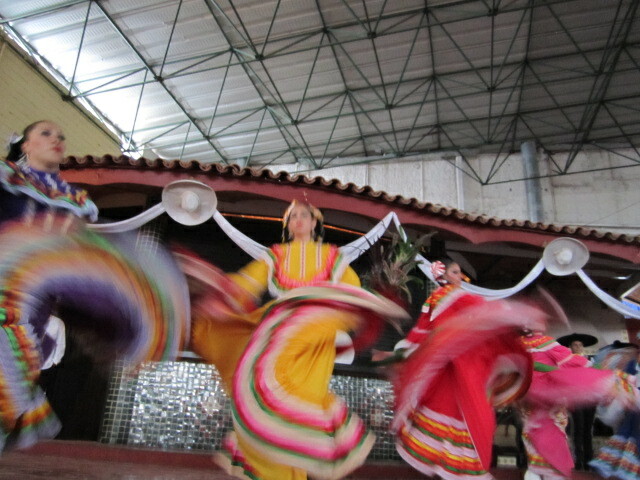 Mostly what I saw were the dancers. 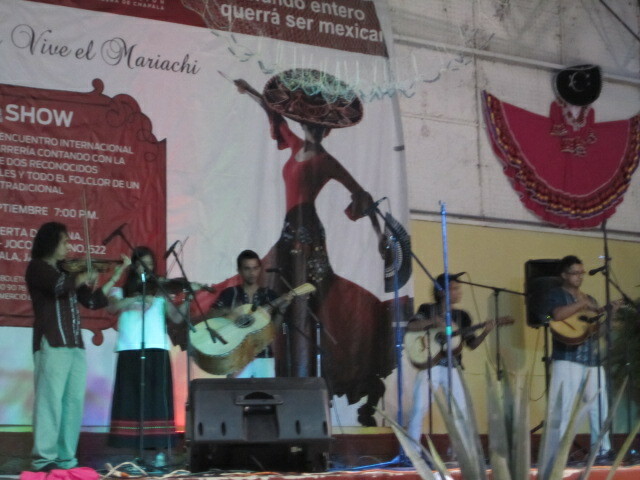 I don’t remember exactly what time the first mariachi group got on stage but I am guessing about two hours later. 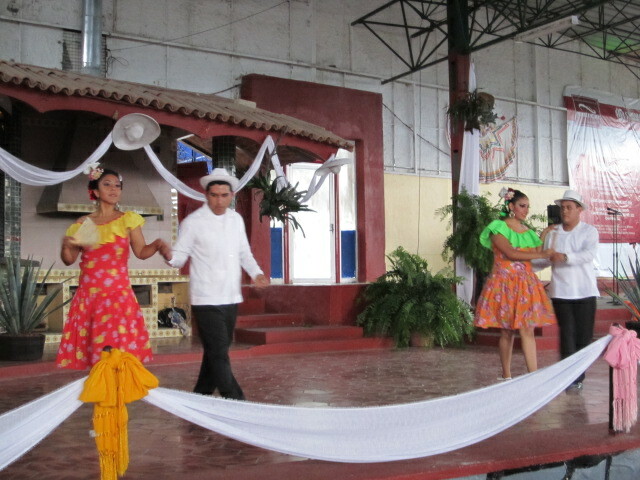 Above is a photo of one of the more modern dances with couples. 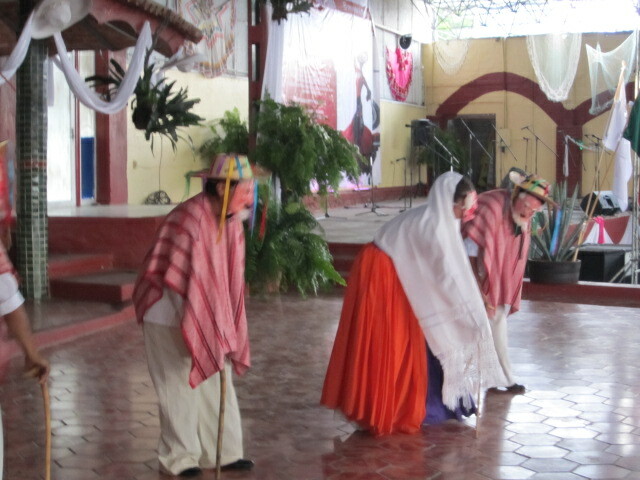 The above dancers were wearing masks of elderly people. They performed the dance while they were bent over. I could relate to that. 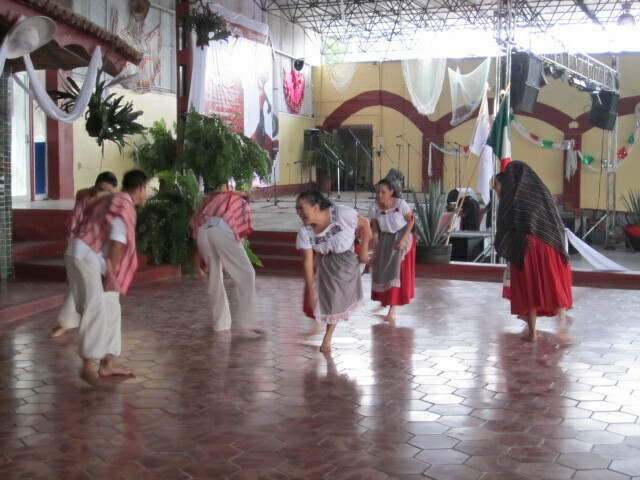 Above is the traditional Corn Dance. You can see that they are pretending to be planting corn seeds. 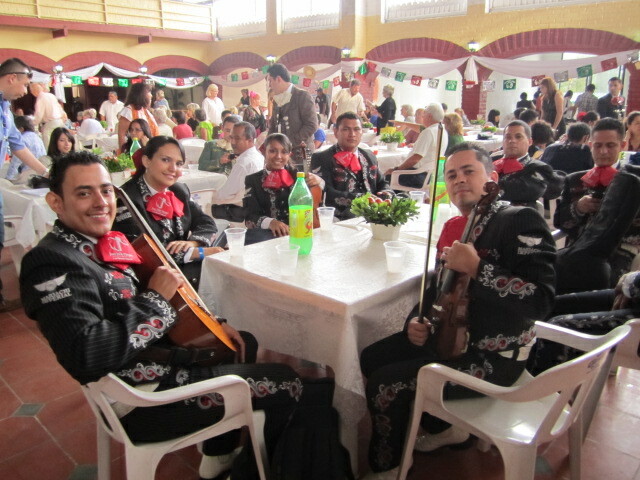 The above group was the first on the schedule of the mariachis. They came up from Guadalajara and they played the older songs. 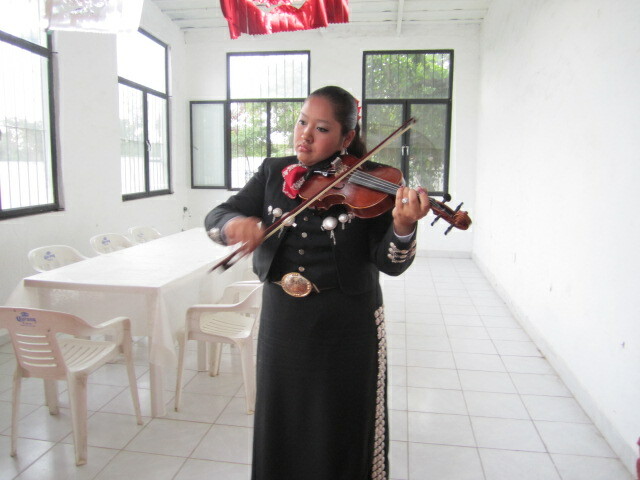 The mariachi songs evolved from the Indians and Mestizo musicians who played simple wooden instruments. Then the Spanish influence came later, adding violins and other modern instruments. I wanted to get the name of their group but they hurried off to the stage. Above is the same group onstage. You can see that it is getting dark and my camera isn’t taking good photos of the people on the stage. There wasn’t very good lighting. 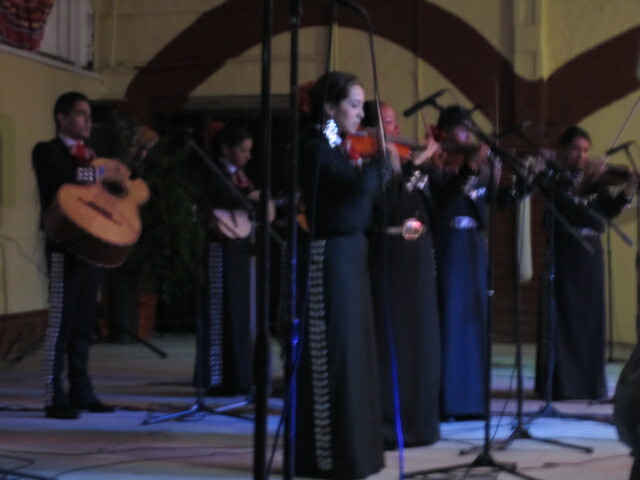 Unfortunately, I didn’t find any information on the names of the mariachi groups and where they were from. There wasn’t any printed material out about them. I mostly enjoyed watching the crowd. People of all ages were there. 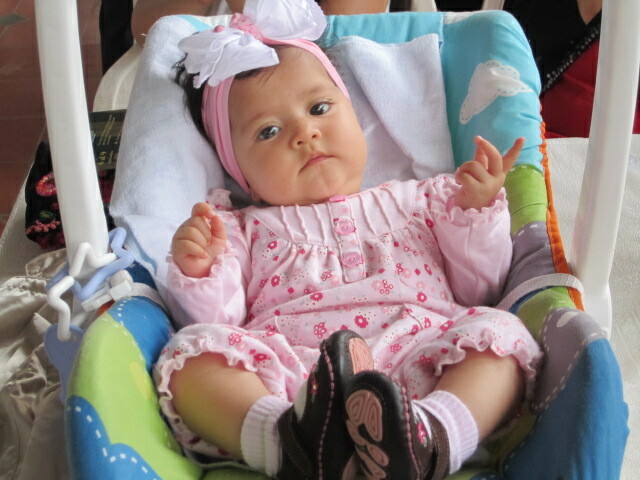 This baby was rocking out on one of the tables. 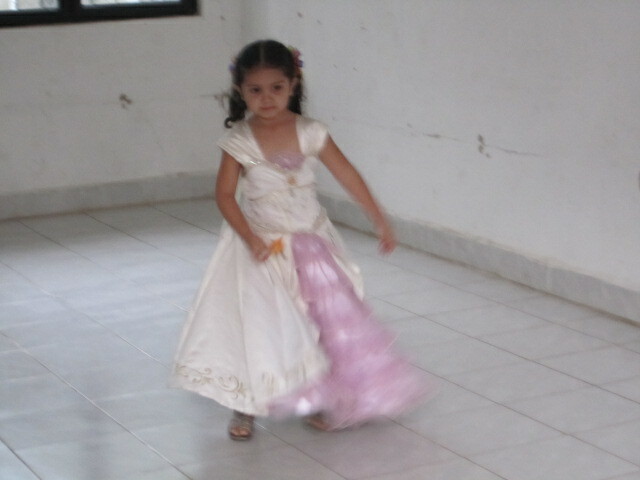 The above little girl had found a place where she could dance with the mariachi music. This elderly man looked like he was enjoying dancing with the beautiful younger woman. Everyone seemed to be having a great time. 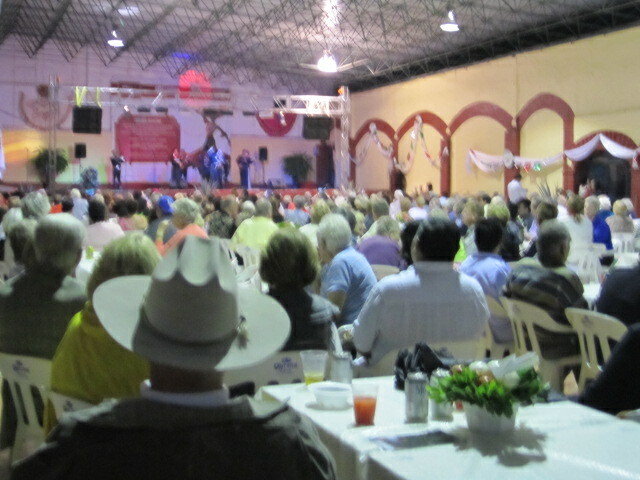 So, even though I wasn’t able to stay and listen to all the mariachi bands, it was a fun evening for me too. Next time I will call ahead for reservations.